I am loving these adorable toddler tees from Cosmic Bebe (via Tangled & True). 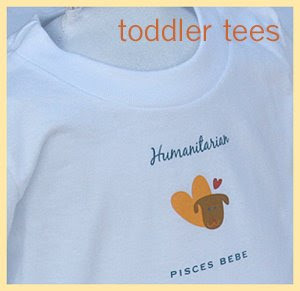 Sweet and whimsical, these tees proclaim your little one's astrological sign with a corresponding personality trait. They also have a line of Mommy Tees and Infant Onesies. What a cute gift idea!